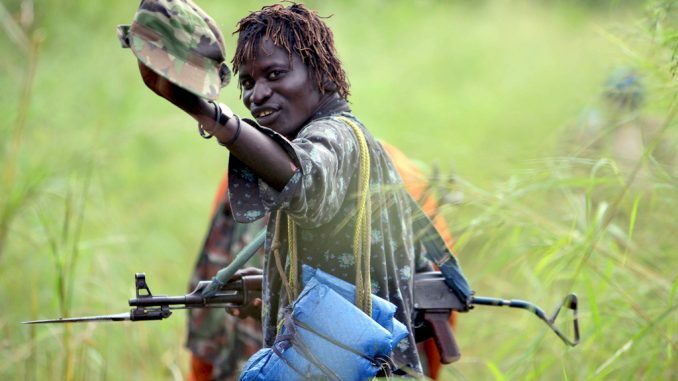 The government policy which drove civilians into Internally Displaced Person’s (IDPs) in Northern Uganda is to blame for the Lord’s Resistance Army (LRA) rebel attacks, according to the defense of Dominic Ongwen. Krispus Ayena Odongo, the lead lawyer of Ongwen’s defense team, told the International Criminal Court (ICC) on Tuesday that it was the Ugandan government that placed the civilian population in northern Uganda in harm’s way. According to Ayena, the camps became soft targets for LRA rebels who were looking for livelihood and weapons. “After forcing people from their villages into concentrated camps were the LRA previously derived food and other necessity, the only gateway to such livelihood including food became attacking the military rings around the camps,” Ayena said. Adding that, “The camps were manned by ill trained soldiers.” He also claimed that both government and recruited fighters from IDP camps. Ayena explained that government recruited and armed Local Defense Forces (LDUs), Arrow Boys and Amuka Boys from various camps to protect IPDs, something which made the camps soft targets for the LRA to acquire weapons from government. According to Ayena, attacks on camps for internally displaced persons increased shortly after government attacked established bases belonging to LRA rebels in South Sudan with own food production schemes. 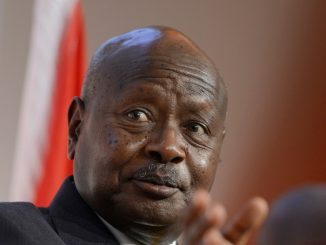 This he said made the hungry LRA combatants fleeing the might of UPDF firepower during Operation Iron Fist and Operation Lightning Thunder more monstrous upon encountering empty villages devoid of food across Northern Uganda. Ayena said unfortunately prosecution ignored the glaring evidences against the party with which the LRA fought and concentrated its valuable time in investigating victims rather than perpetrators. He said justice for the people of Northern Uganda can only be complete when the leaders of Uganda People’s Defense Forces (UPDF are also brought to justice. Ayena then touched on the birth of Dominic Ongwen, the former leader of LRAs Saniya brigade and the impact his abduction had on his upbringing before handing over to another defense lawyer, Charles Taku to make another statement. He reflected on statements made by Ongwen at the beginning of his trial the Court before delving on the command structure of the LRA. “Dominic Ongwen said at the beginning of his trial that his trial at the Court is a matter of life and death. As if he is being forced to return to the Lord’s Resistance Army (LRA). He said he is being tried for crimes of the Lord’s Resistance Army,” he said quoting Ongwen verbatim. The lawyers have indicated that they intend to call about 70 witnesses to exonerate the victim – perpetrator former child soldier. Dominic Ongwen is battling 70 counts of war crimes and crimes against humanity as well as sexual and gender based crimes related to attacks on camps for internally displaced persons between July 2002 and 2005 in Abok, Pajule, Odek and Lukodi. 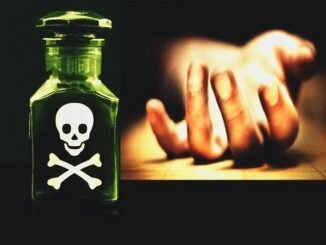 He pleaded not guilty to the charges at the beginning of the trial which has so far lasted approximately two years. Prosecution used a total of 69 witnesses to build a strong case against the accused including 31 categorized as Lord’s Resistance Army insider witnesses, 21 crime based witnesses and eight expert witnesses. 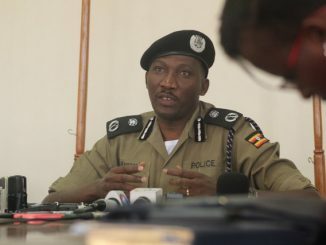 The others were nine members of Ugandan security agencies comprising of four people who intercepted LRA radio communications for the Uganda People’s Defense Force, the Internal Security Organization, and the police while two others were high-ranking intelligence officers. Two of the three remaining witnesses were drawn from other commanding units in the Ugandan military while a long-serving administrator who also served as an intelligence officer is the last in the prosecution folder.